A preliminary estimate by statistical agency Istat revealed that Italy’s GDP fell yet again in the second quarter by 0.2 percent. The contraction follows a 0.6 decline in the first three months of 2013, indicating Italy’s economic woes may be slowly diminishing. Lawmakers are hopeful the country’s GDP will actually return to growth by the end of 2013. 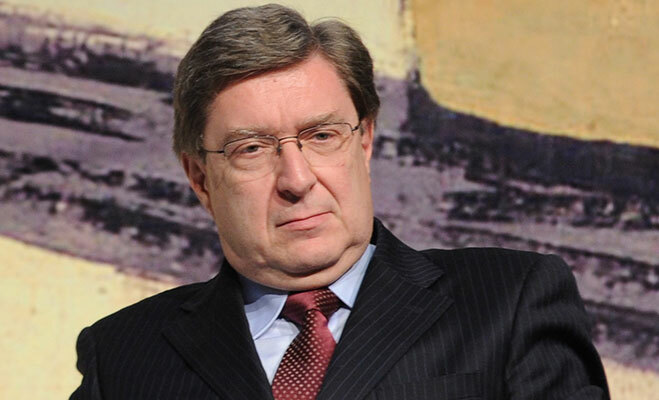 Giovannini’s hopes were echoed by a second batch of numbers released by Istat that indicated Italy’s industrial production climbed 0.3 percent in June. The rise was bolstered by typically downtrodden Italian carmakers, who have seen a huge jump in demand this summer. In June, automotive production across the country surged by 7.4 percent. Italy’s unemployment rate also dropped slightly in June, down 0.1 percent from May’s record-breaking 12.2 percent jobless rate. The country’s slowing contractions are undeniably beating expectations. A recent Dow Jones poll of economists had previously estimated Italy’s economy would shrink by 0.4 in the second quarter of 2013. The IMF, meanwhile, expects a contraction 0f 1.8 percent by year’s end, down from a 2.4 percent drop last year. The surprising slowdown of Italy’s worst recession since World War II coincides with strong economic performances across Europe. Germany has just reported its strongest factory orders in eight months, and industrial manufacturing across the eurozone reached a two-year high in July. The European Commission cautioned Italy’s central bank on Tuesday to continue implementing steady reforms, and stated that the country’s slowing recession broadly fell in line with the eurozone’s general recovery.